There's snow forecasted for us here in Metro Denver area for Thursday....here's hoping the weather guessers are right. 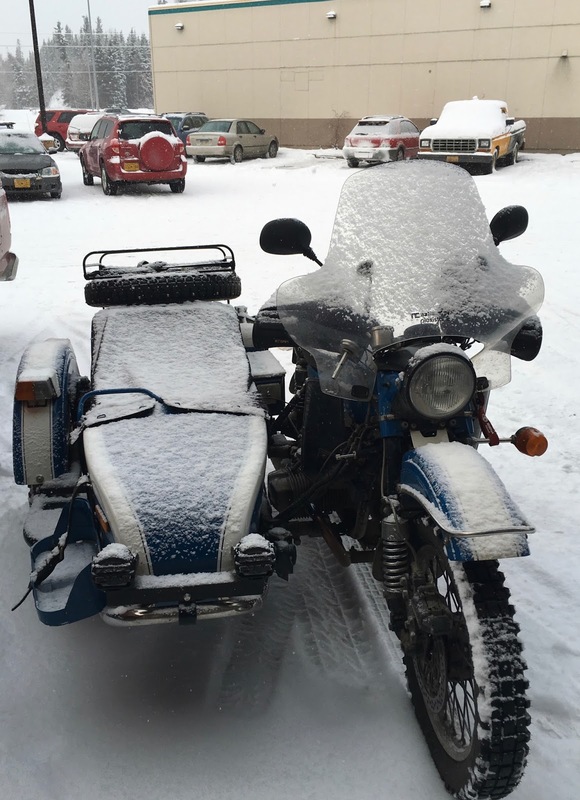 The guy thinking of buying your Cozy sidecar is in luck, you've worked out all the details already! I hope the snow isn't all wet and icy. I had always thought that the northern Midwest had lots of snow by now… Shows how much I love know about geography. Mt Washington on the Island got a dump of snow the other day, they've bern predicting a so-so ski season due to our warm temps. We have mild temps & lots of rain right now. Time will tell about our winter. I hear that it should be a warm, snowy season on the west coast. If so, that would be great! Reporting foggy weather all day from the Black Forest, with temps just above freezing point. Not my favourite kind. I dream of cool clear blue and white winter days in Alberta. The best days are the clear, sunny days after fresh snow. All of the mess is covered up. Are you busier now that you've retired? It seems that way with all the plowing and projects. Inches of fluffy snow sounds pretty. The 2 inches of rain we had in Portland while there for the motorcycle show on Saturday, was not. Yes, but busy in a different way. 2" of water doesn't sound like fun. How was the show?